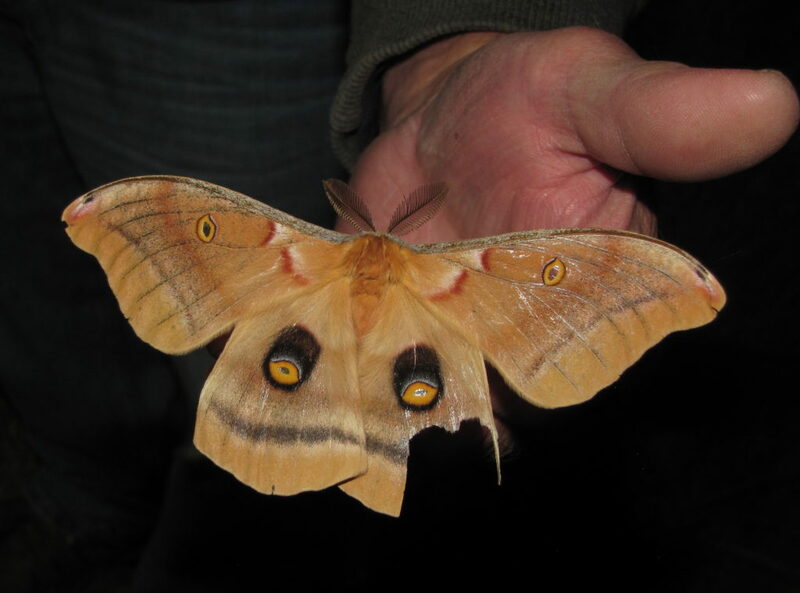 New Moon Moth Night: A Pleasant Surprise! 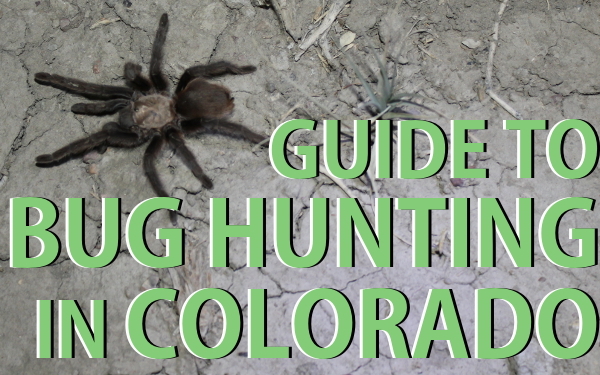 The best time to set up a blacklight to attract moths is on a night with no competition from the moon, so it seemed like a great idea to schedule our first Mile High Bug Club moth night on Friday, June 23. Unfortunately, it turned out to be maybe the chilliest, dampest day of the entire month. Some of us even debated whether we should go at all, but we are nothing if not committed to showing up. Good thing we did, as we had many interesting nocturnal visitors. “New moon” translates to “no moon,” that time each month when the lunar cycle arrives at the opposite end of the spectrum from a full moon. Our site of choice was the Limekiln trailhead in Cheyenne Mountain State Park, just south of Colorado Springs. We have had great luck in the park during previous events. Advertising within the park’s campgrounds, and in the media, led to a turnout of twenty-four people, including families with eager and excited children. Just the way we like it! 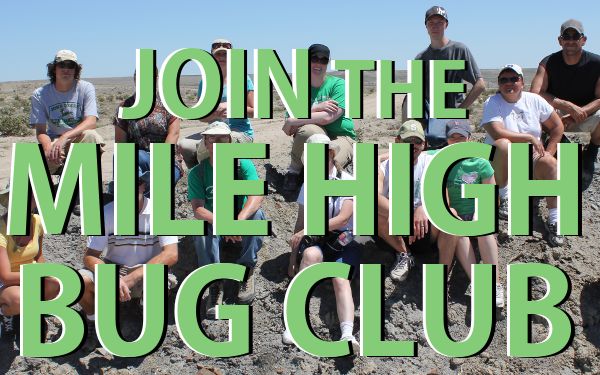 We are also fortunate to have among Mile High Bug Club members a number of experts who are able to identify what is flying to our luminous beacons of ultraviolet and mercury vapor. This includes a young man who, with his father and brother, brings his own set-up, and a wealth of experience already in the identification of nocturnal Lepidoptera (moths). Also on hand at this event were very talented photographers who documented the incoming creatures and posted their observations online in the iNaturalist “State Parks Nature Finder” project. Getting as much detail in an image as possible is critical to helping scientists online verify identifications. 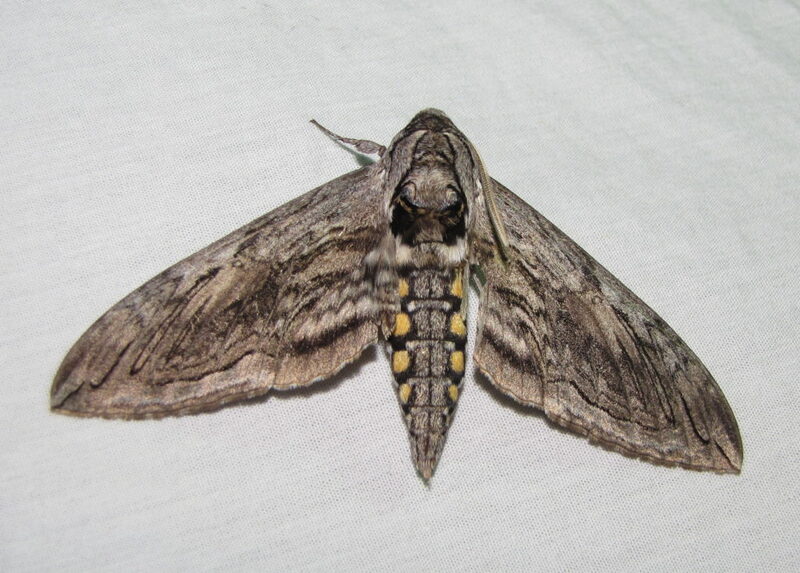 Despite the cool, misty conditions, we had many species, including a large Five-spotted Sphinx Moth, Manduca quinquemaculatus. You might recognize it by the name for its caterpillar stage: the Tomato Hornworm. Ironically, it is perhaps more common on tobacco plants, but it feeds on a variety of Solanaceae. The moth fluttered around erratically for some time before finally alighting on….well, let’s say it was not the best photo op. It came to rest on a gentleman’s uh…hip pocket. We all got a good chuckle, and eventually the gargantuan insect was gently transferred to the white sheet behind the blacklight where it remained a cooperative model. 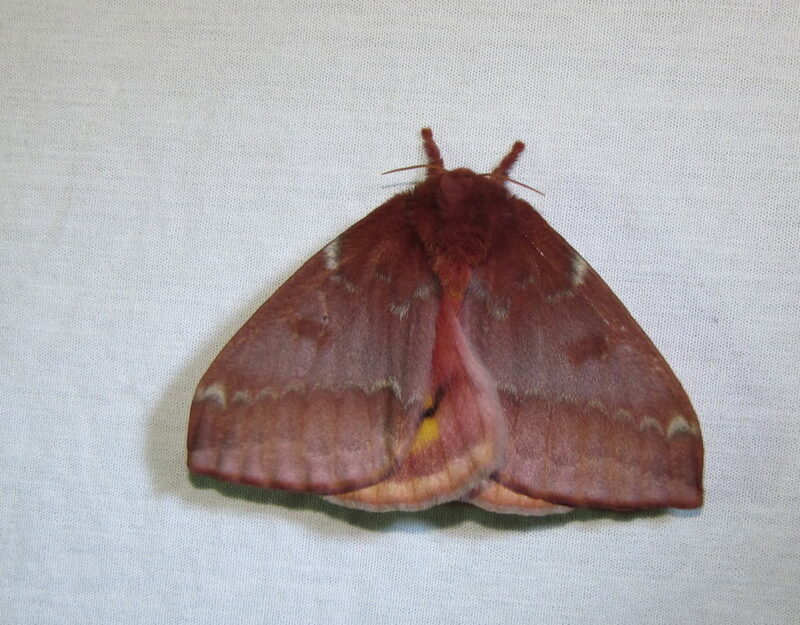 Another large moth that made an appearance was a female IO Moth. That is “eye-oh,” not “ten” like I thought as a child. 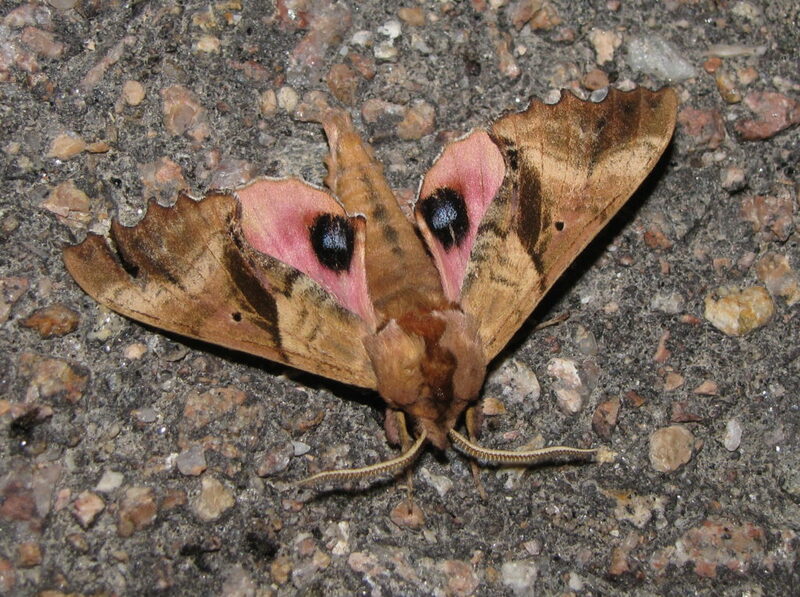 This is one of the giant silkmoths, and it gets its name from the bold eyespot pattern on the hind wings. 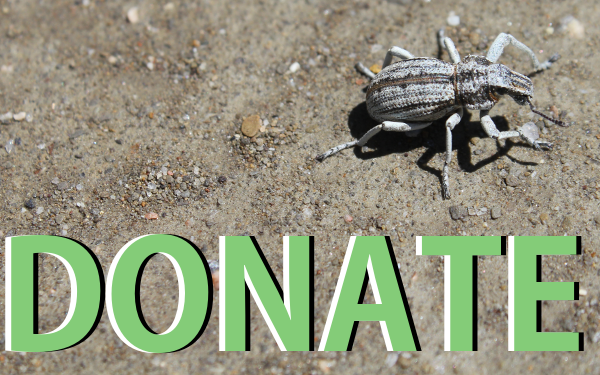 Antagonize the insect enough and it will suddenly flash those hind wings, making it appear as though you have awoken a literal sleeping giant. The caterpillars of the IO Moth are studded with venomous spines, so it is best to avoid touching them. Much of the real beauty and diversity comes in much smaller packages, in moth families that languish in obscurity even among moth aficionados. Take the Tortricidae for example. These are known as leafrolling moths, again for the activities of the caterpillar stage. 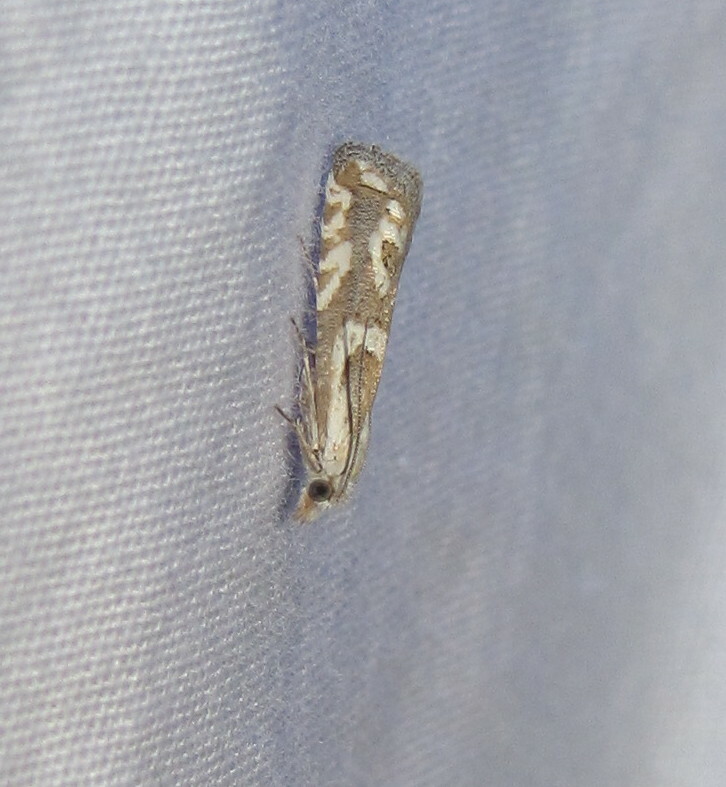 The adult moths are easily overlooked, but if you get up close, they can be really beautiful. 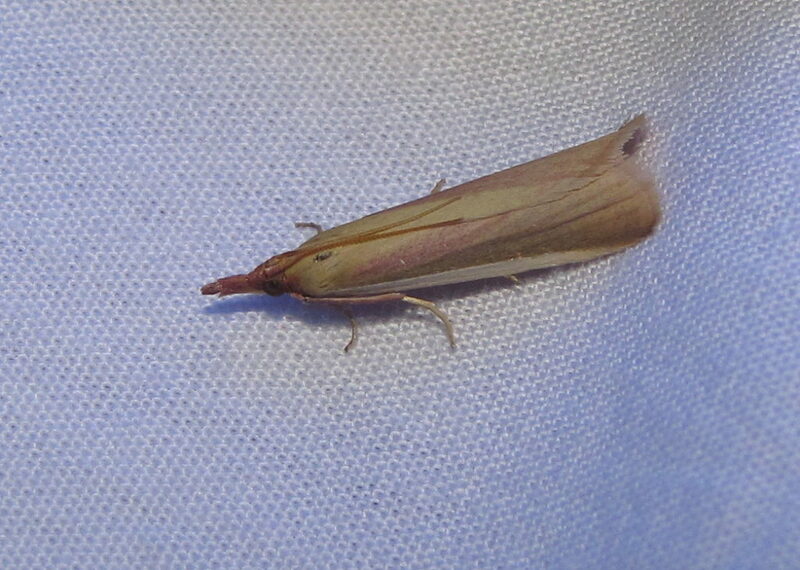 Same with pyralids like the Carmine Snout Moth, a gorgeous red-streaked insect in the family Pyralidae. 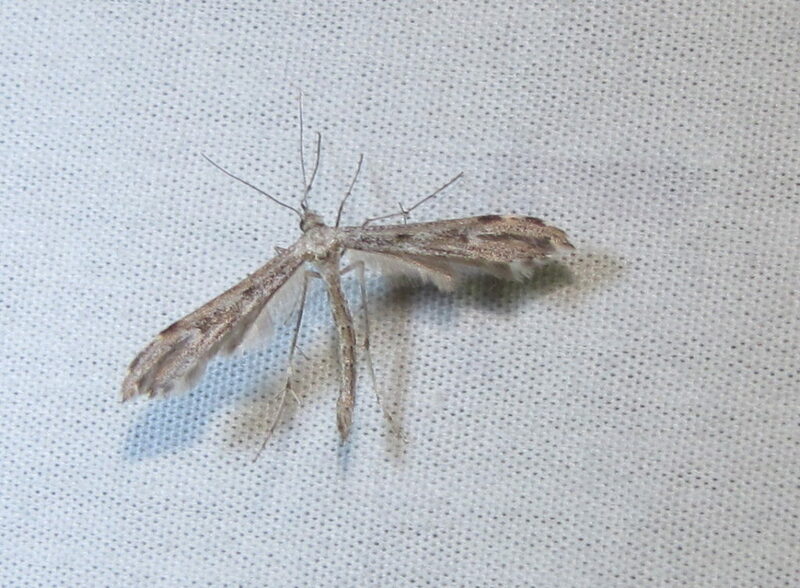 Plume moths in the family Pterophoridae are easily recognized for their usual “T”-shaped silhouette at rest, but the hind wings are fringed and feathery. We found at least two species. Other insects besides moths also find the lights attractive. 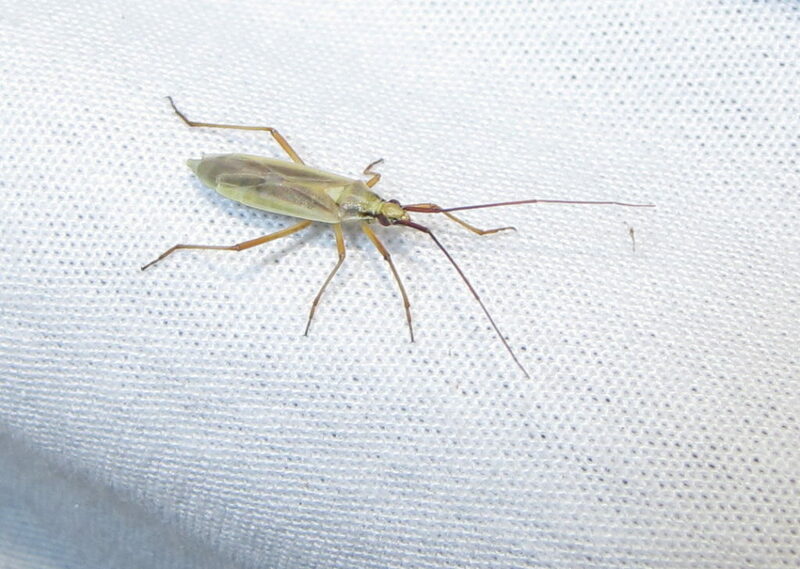 Plant bugs in the true bug family Miridae are among the more common. We also had a the odd wasp. 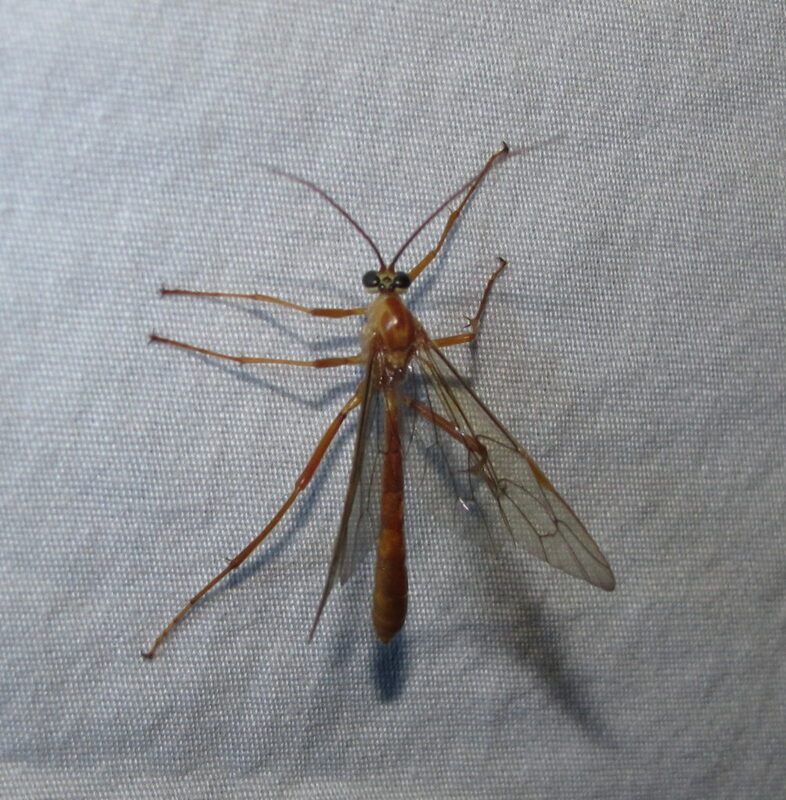 Ichneumon wasps in the Ophioninae subfamily are large, orange wasps that inject an egg into a caterpillar host. The wasp grub that hatches then lives as an internal parasite, usually killing its host eventually before finishing its own metamorphosis. Once we turned out the lights on the public event, around eleven PM or so, some of us had an “after party,” visiting the lights around the park’s visitor center and self-pay station. We were rewarded with our biggest moth of the night, a Polyphemus Moth. 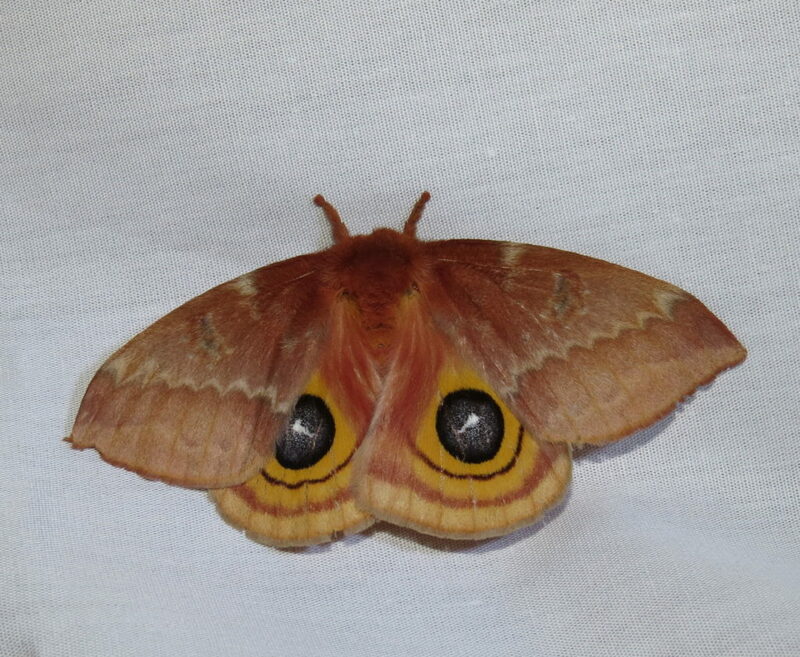 This behemoth has eyespots just like its cousin, the much smaller IO moth. Fake eyes seemed to be at theme, as we also found a Blinded Sphinx Moth, flashing its own eyespots. The spots lack “pupils,” hence the common name. We found a few other interesting but smaller moths as well. We cordially invite you to participate in our upcoming events. Please see our calendar for dates and times, and consider coming out. These are not formal events, so you may wish to avoid white or light-colored clothing, lest you become your own personal moth magnet in the glow of the UV light.